There is so much that I love about the movies. While I regret putting together the "worst of" list, it seems to be a necessary evil of this critique racket. I'm very happy to wash the stink of the bad off of me and get into the great...the things I loved this past year, and of that there were plenty. 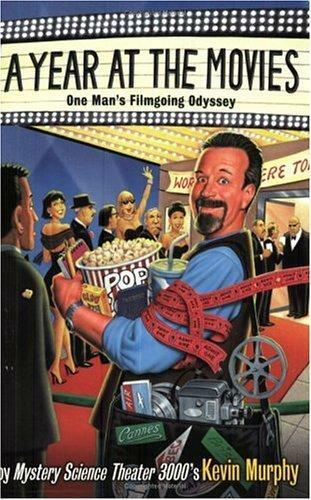 Kevin Murphy's book: A Year at the Movies: One Man's Filmgoing Odyssey is one of my favorites. If you haven't read it, let alone heard of it, I recommend picking it up for a fun read. 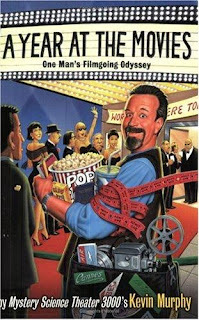 In 2001, he went to one movie a day, at the theater or in some kind of public exhibition, every day that year; then he chronicled his adventures with the book as the result. Ten years later, it's kind of fun to read his writings on all the movies from that year being talked about in the present-tense. Murphy, for those who don't know, is one of the Mystery Science Theater 3000 team, best known perhaps as Tom Servo. He is also an excellent writer, which besides making me insanely jealous for being paid to go to the movies for a full year, also made reading the book "a delight." Yep, I said delight....that's what people say when talking about books. What is really great about his book is that he didn't just write about the movies he saw...he wrote about the experience. Kind of. I think that as a man with a day job (that isn't being paid to go to the movie), a husband, and as a father; to try and get to a movie a day at the theater would be a near impossibility. To do so would likely wind me up on unemployment and discussing options with a divorce attorney. 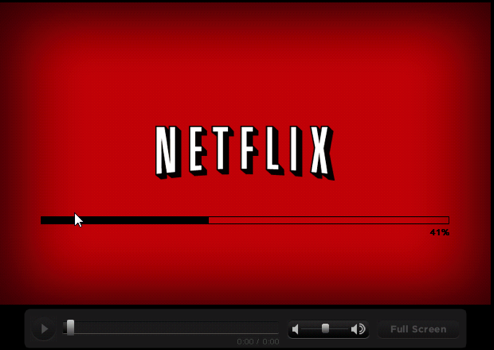 But in this glorious day of technology, I have Netflix Watch Instantly available at my utter disposal......on my Android phone, on my iPad, and of course at home streaming through my BluRay player at home. I even have an older iPod touch that allows me to drift off to movies in the waning moments of my day. Last night, it was Keanu and Sandy in Speed...you see to fall asleep to a movie, it can only be something that falls into the guilty pleasure category...otherwise it may be too interesting and preclude the body's desire for slumber. Let me say here and now...I plan on making a run at 365 in 2012. 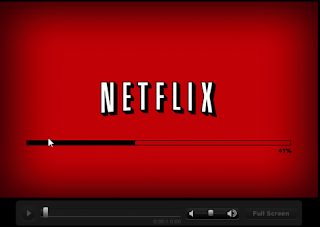 At least one movie a day, at home or abroad. I will be reporting my results ongoing here on the site, but also in real time on MISO, one of my new favorite social media sites...one built for movie/tv addicts like myself.. So far in 2012, I have seen 19 movies in 10 days, counting the theater and my home views. Yes, I agree that it sounds a bit crazy, but that's how I roll. 167 movies at home, 130 at the theater. The theater flicks accounted for 13,993 minutes of filmgoing, which is just short of 10 days. The home tally was 17516 minutes or 12.15 days. Did someone say insane...I don't disagree. 2011 brought a long time goal of mine to fruition. My 1000th flick at the theater...a long time coming, but I am a locomotive running down the track. While I hit that goal on June 18th, 2011, since that day, I have been to an additional 81 films since that day. I do believe that it will be a fair bit short a distance to 2000 than it was to a grand (35 years). Justin Bieber: Never Say Never - Deal with it. It was an interesting movie about a very talented young man. The movie is 70% documentary, 30% concert film, and yes, we can all take or leave much of the teeny-pop fodder tunes. I don't necessarily like the music (okay, it is kind of catchy)...but he is an intriguing artist and this film showcases well his roots and the phenomenon that is Bieber Fever. And no, I didn't catch it. But damn I respect the kid. Buck - A great movie about a great man. I have little to no interest in horses, cowboying, or being a horseman. This movie compels all to be interested. Buck Brannaman was the horse expert used on Robert Redford's The Horse Whisperer. He became an integral part of the film because he is truly a horse whisperer and this film features both his talents and more intriguingly, the nature of his character. 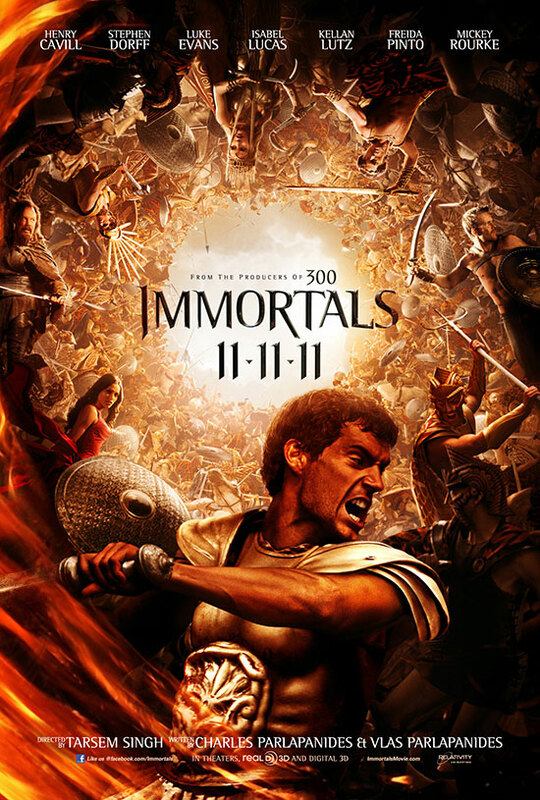 Immortals - I fell in love with the filmmaking of Tarsem Singh with his film debut, The Fall, which is a one of a kind movie experience. I was excited to see what he would do tackling the world of the Gods. He succeeded in creating a visual spectacle with a very palatable story. Well done, sir, well done. I am looking forward to Mirror, Mirror, his whimsical take on the Sleeping Beauty mythology, due out this Spring. Winnie the Pooh - Hands down, the best all-ages animated flick of the year. The length was perfect (63 mins) for even the youngest of kids. The animation was perfect and the movie touched both young and old, striking that nostalgic nerve for the parents and making a slew of new fans alike, out of all the youngsters. 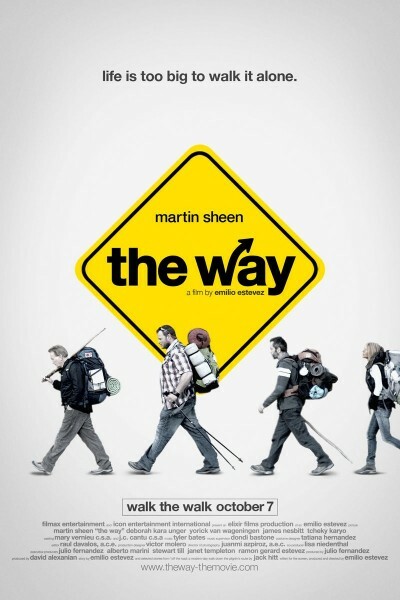 The Way - An immensely personal film to the Sheen/Estevez family, fortunately nobody told Charlie, which is why this film managed to keep such an utter sense of beauty and reverence. The story of El Camino de Santiago, a traditionally Christian pilgrimage, but over time has become a broadly spiritual one that draws people of all different faiths and backgrounds. The story is not heavy handed religious, but instead a pained journey taken by a father who is trying to connect with a son that was taken from him when he perished on his first leg of the Camino, killed in a freak accident. The film is moving and made with a very skilled hand, which, no disrespect intended, is surprising as it was helmed by Emilio Estevez. Martin Sheen shines in this and I will not be surprised if he makes the shortlist for best actor awards, this awards season. 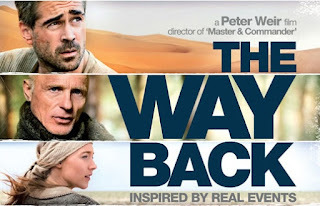 The Way Back - Amazing cast, amzaing movie. This film tells the tale of a group of prisoners from a Russian gulag and their subsequent four-thousand mile WALK to freedom, including a trek through the Gobi Desert and as well as a short jaunt across the Himalayas. Jim Sturgess, Ed Haris, Colin Farrell, Saoirse Ronan, and Mark Strong are the meat and potatoes of the cast, and everyone shines. Harris's physical transformation is particularly amazing and this being a 2010 release, was actually nominated for several awards, losing best make (an atrocity in my opinion) to Alice in Wonderland. This movie is compelling and is worth your time for a great drama that is both exciting and extremely well made (directed by the great Peter Weir). 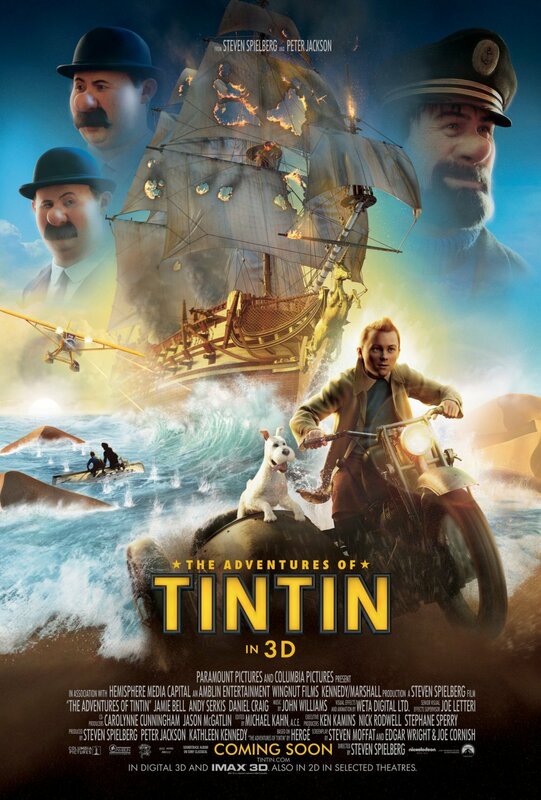 The Adventures of Tintin - Well made (Spielberg and Peter Jackson, of course its well-made! ), beautifully animated with stunning 3-D, and in my opinion, a very well told story. I underlined that, because I seem to be in the minority in that opinion. This is an intensely fun movie and I loved it. Deal with that America. It may not have been on this list if not for the lineage of the makers, that great John Williams score, and the fact that I felt at times that I was watching the adventures of a new Indiana Jones like character who has a great sense for adventure. Its better than you've read. Give it a try. 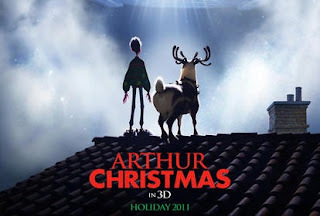 Arthur Christmas - An insanely British film, with the witty humor to match. When I saw this film, the kids in the theater loved it and the parents were rolling in the aisles at the jokes that were a bit edgy. This film should become an epic entry into the holiday film genre. It crashed and burned by other kid-friendly holiday movie standards, making only $46 million domestically. This movie was touching, hilarious, witty, and very well-animated. I think this movie will become more endeared with time...please take my word, it is a fun watch and you won't be disappointed. The techno-savvy perspective of the magic of Santa was both creative and visually stunning and for my money, the first fifteen minutes of this movie made it worth my hard earned dollars alone. Harry Potter and the Deathly Hallows Part 2 - Part 1 cracked my top 10 of 2010. I enjoyed this film immensely, but I thought it was just a little less than the first entry in the pair. This pinnacle film had so much to do, I thought it was near perfect, but it didn't draw me in the same as the first, which had the benefit of ending in a cliff-hanger, automatically generating a little more excitement if only in anticipation drool. Bravo to the HP crew...this was a great series from start to finish, and although this film didn't crack my top films of the year, I included here out of reverence for an unbelievable run of films. 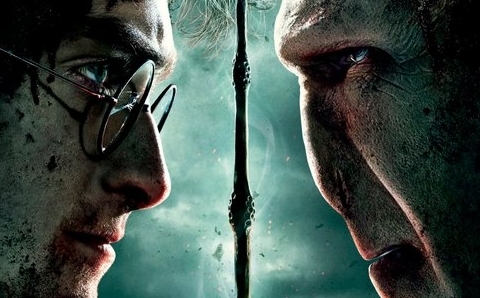 This series is a great achievement in film...I mean come on, old Harry and company took down James Bond for the highest grossing series of all time. Brilliant. Simply Brilliant. Coming soon...the Reel Rhino top 15 films of 2011. Yep...15 films. I love movies that much that I can't contain myself to 10...come on...I'm the big guy...I do everything larger than life!